In honor of Batik Day (Hari Batik Nasional), a national holiday that celebrates the traditional cloth of Indonesia, Ayodya Resort Bali re-present the 3rd Ayodya Batik Festival – a three-day event that aims to capture the national and traditional spirit of Batik Day. The 2018 Batik Festival event carries the theme of a Culture Goes Global with several backgrounds including to inspire all people to have a national and traditional spirit with the celebration of Batik day. Batik Festival 2018 also expected to be able to develop and assist the Batik industry and inspire all traditional entrepreneurs or fashion designers to build successful events. In addition, the Batik Festival event was able to increase public interest to love local products, especially batik, which is one of the world heritage. 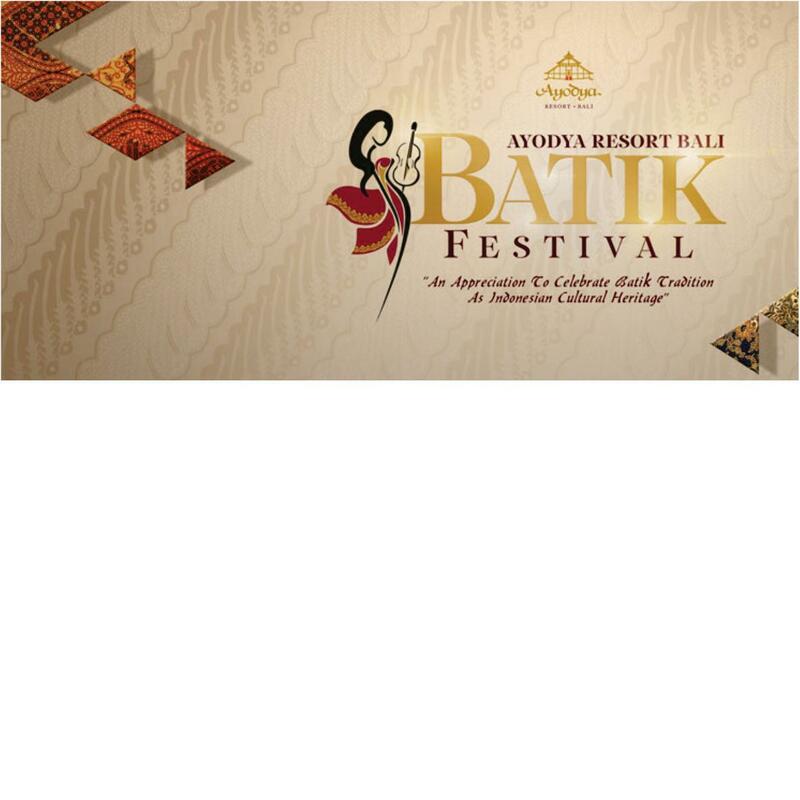 The Batik Festival 2018 event takes place on October 26 to 28, 2018 at the Bale Banjar and Ayodya Resort Bali Grand Ballroom. Batik Festival 2018 will last for 3 days with various events in it such as fashion shows from various renowned Indonesian fashion designers, dinner parties, KCBI evenings, batik exhibitions, batik making, weaving, embroidery, local designer jewelry making and textiles and fashion workshops. The 2018 Batik Festival in this event was enlivened by well-known local artists such as Gus Teja, Don Biu, Diana Rosa & The Comrades of Cool. In addition, several exhibitors included Afif Syakur, Tjok Abi, Dwi Iskandar, Uluwatu, KEKEAN Wastra Gallery, KCBI Bali Designers: Mila Clothing, Jero Puspa, Riesna Dewi.